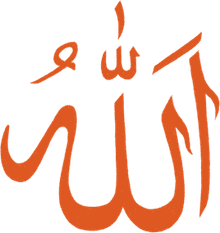 Christianity, Judaism, and Islam are all considered monotheistic faiths, but for Islam, the principle of monotheism exists to an extreme degree. For Muslims, even the Christian principle of the Holy Trinity is seen as a detraction from the essential "oneness" of God. Of all of the articles of faith in Islam, the most fundamental is a strict monotheism. The Arabic term Tawhid is used to describe this belief in the absolute Oneness of God. Tawhid comes from an Arabic word meaning "unification" or "oneness"—it is a complex term with many depths of meaning in Islam. Muslims believe, above all else, that Allah, or God, is the sole divine deity, who does not share his divinity with other partners. There are three traditional categories of Tawhid: the Oneness of Lordship, the Oneness of Worship, and the Oneness of Allah's Names. These categories overlap but help Muslims to understand and purify their faith and worship. Muslims believe that Allah caused all things to exist. Allah is the only one who created and maintains all things. Allah is not in need of help or assistance over creation. While Muslims greatly respect their prophets, including Mohammad and Jesus, they firmly separate them from Allah. Because Allah is the sole creator and maintainer of the universe, it is to Allah alone that Muslims direct their worship. Throughout history, people have engaged in prayer, invocation, fasting, supplication, and even animal or human sacrifice for the sake of nature, people, and false deities. Islam teaches that the only being worthy of worship is Allah. Allah alone is worthy of prayers, praise, obedience, and hope. Any time a Muslim invokes a special "lucky" charm, calls for "help" from ancestors or makes a vow "in the name of" specific people, they are inadvertently steering away from Tawhid al-Uluhiyah. Slipping into shirk (the practice of worshipping false gods or idolatry) by this behavior is dangerous to one's faith: shirk is the one unforgivable sin in the Muslim religion. Every single day, several times a day, Muslims recite certain verses in prayer. Among them is this reminder: "Thee alone do we worship; and unto thee alone do we turn for aid" (Quran 1:5). The Quran is filled with descriptions of Allah's nature, often through attributes and special names. The Merciful, the All-Seeing, the Magnificent, etc. are all names which describe Allah's nature. Allah is seen as distinct from his creation. As human beings, Muslims believe that one may strive to understand and emulate certain values, but Allah alone has these attributes perfectly, in full, and in their entirety. Verily, Allah forgives not that partners should be set up with Him in worship, but He forgives except that (anything else) to whom He pleases (Quran 4:48).